“If you have Dark Brown hair and you’re dying to go Light Blonde, unfortunately you can’t get it from a bottle,” says color expert Estelle Baumhauer, Color Director at eSalon.com, an online company that provides made to order, custom blended hair color for home use. Lightening products can cause damage by stripping open the hair cuticle. This weakens the hair, leaving it susceptible to breakage, dullness, and split ends. Your best bet is to stick within two shades of your natural color. Not only will it help maintain healthy hair, but it will also give you the most flattering overall effect. Certain hair color products from the drugstore can do more harm than good. Make sure to use a high quality color that won’t strip your hair cuticle of moisture. Try Estelle’s custom blended color from www.eSalon.com: it contains a blend of beneficial nutrients such as vitamins E, B5 and aloe vera. “The color actually conditions your hair during coloring and leaves it healthier and softer,” Estelle says. Your scalp produces natural oils that protect and condition your hair. 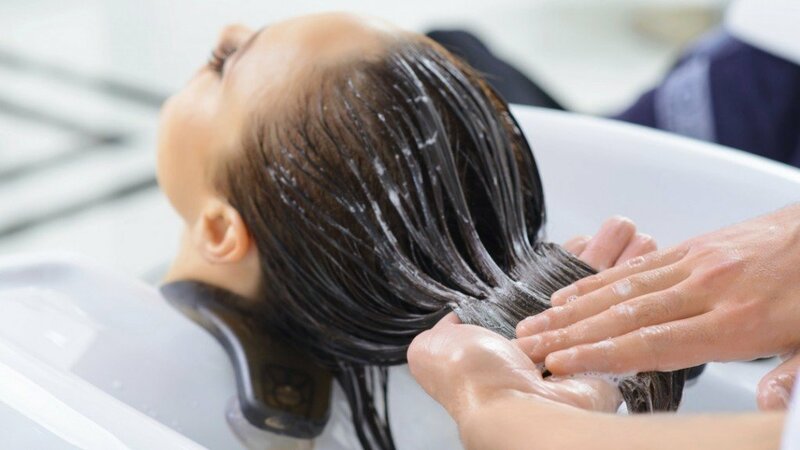 “Your natural oils can help prevent damage from hair coloring,” says Estelle. It also provides an extra layer for the color to grasp to provide an even color.